Experts from law enforcement and the private sector, including Britain’s Datatag, gathered at INTERPOL’s headquarters to discuss ways to effectively combat the growing problem of vehicle crime. 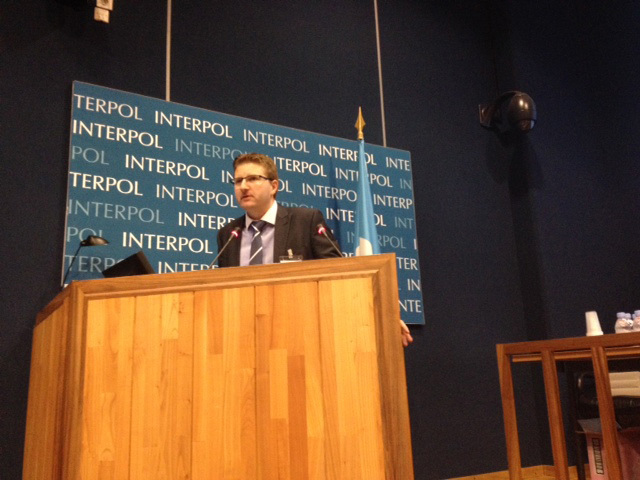 The three-day INTERPOL Global Conference on Vehicle Crime brought together nearly 200 participants from 55 countries, 40 private entities and six international organizations to share expertise and best practices on preventing vehicle theft, recovering stolen vehicles and ensuring stolen vehicles are not used in other crimes. Datatag Sales Director Chris Harrison addressed the meeting highlighting the success, over 7 years, of the official equipment security scheme CESAR. Launched in 2007 CESAR now protects over 130,000 pieces of equipment. Mr Harrison explained the ‘CESAR effect’ stating that CESAR has reduced overall equipment theft in the UK, increased the rate of recovery of stolen equipment by a factor of 6, and help reduce insurance premiums on equipment. CESAR is fitted on production lines in Germany, the USA, and the UK by leading international manufacturers including John Deere, Massey Ferguson, Manitou and JCB. CESAR works by giving each piece of equipment a unique and permanent identity that thieves cannot remove. The Datatag supplied security system, used on CESAR registered machines, includes tamper evident registration plates, RFID tags, liquid DNA and microscopic Datadots. 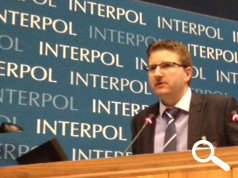 INTERPOL Secretary General Ronald K. Noble said INTERPOL has long believed that with many stakeholders involved, law enforcement alone cannot successfully combat transnational vehicle crime. “The gamut of this transnational crime is, as we all know, well beyond just vehicles from one country being stolen and then sold in another. From acts of terrorism to trafficking in human beings, weapons or drugs, vehicle crime touches nearly all forms of serious crime,” said Secretary General Noble. “We need to partner with the private sector, and the success of our Project INVEX, which is being conducted in partnership with just four private sector manufacturers, has reinforced our belief,” concluded Mr Noble. A number of European countries are on the brink of adopting CESAR to reduce equipment theft and increase recovery rates.